Last Tuesday while I was out of the house visiting some members of our church, my wife got a phone call. They were calling from the States, from the Spanish Church of Fellowship Baptist Church in NC. They wanted us to visit some relatives, specially the father-in-law that was very sick and dieing. Wednesday morning, at about 5 AM, they called us back to let us know that he had already died. The good thing was that he was already saved. In fact I met him about 3 years ago when we went to the States for a short furlough. So, Wednesday morning I went to visit the family to see what we could do for them and how we could help them. 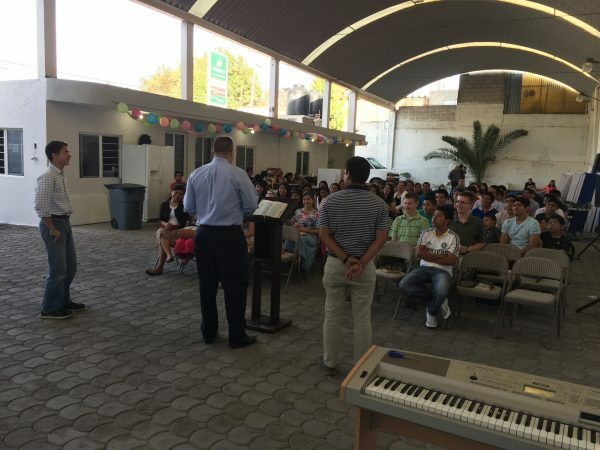 At night I had the opportunity to preach to a large crowd in the little village about 30 from Puebla. 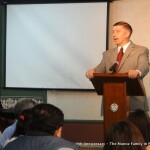 I preached a clear Bible message on how to get saved. I don’t know if any got saved. No one raised their hand, but I pray that at least someone listened and made a decision. Thursday morning Bro. 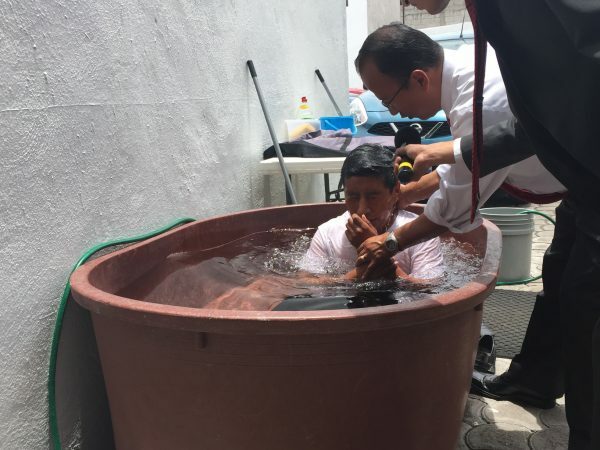 Alejandro Ruiz, my assistant and brother-in-law went back and preached during the burial.It’s interesting they way they do this in Mexico. Bro. Garcia died Wednesday morning and he was buried the very next day on Thursday! Last week we had 12 people saved at the General Hospital and 1,000 tracts were given out! This ministry is mainly for the ladies in our church and they Really do a good job talking to people in a very caring way and then showing them the Gospel and telling them how they can get saved. Please pray for the dear people that get saved because many times we don’t see them again. We try to get as much information as possible from them, including email address to stay in touch and email them Bible Studies. But many times the only thing we can get in their names since they don’t have a way to receive regular mail in their little communities in the mountains. We pray for them all of the time that they will find a good Bible teaching church. We have seen hundreds saved since the beginning of the year and over 20,000 tracts given just at this hospital. Thursday we had to fly out to the States for a quick trip and we came back to Puebla today (Monday). It seems that every time we are gone our church gets packed! 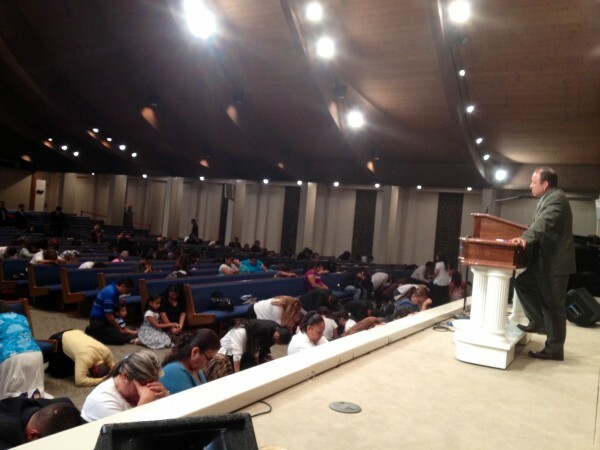 We had on Sunday a full house with 4 first time visitors and 3 people that got saved! Nicole and the kids are doing fine. Caitlyn, our baby girl, is almost a year old on June 28. And in few day Nicole and I will be celebrating our 12th wedding anniversary! Pray for Bro. Raul Castillo, the man that help us with the Christian Magazine El Fundamentalista, he was traveling in Torreon last week with his brother and a group of men, on a black Suburban, stopped them with large machine guns and granades, and asked them (not very politely of course) to get in the suburban. As this was happening, the police was driving by and the armed man quickly got on their car and left them unharmed. What would have happened if they got in the car with them? I think they would have killed him and his brother that was traveling with him. Please pray for them and please pray for our safety, as this happens more and more in the northern States. Puebla still a nice place to live, and we don’t want to have to go back to the States because of the crime. 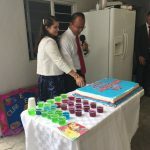 About three months ago, Mrs Garcia, a widow, contacted a member of church asking us to please send someone to start a church. It happens that, about five years ago, when her husband died, the church that they had at their house for 25 years also died. It used to be a baptist church, but now they didn’t have a pastor, nor people, but she still had the burden to have a church. So we started to send someone from our church to preach in this little room every Saturday. This last Saturday, we knocked on doors around the place, and we saw about 5 people saved. 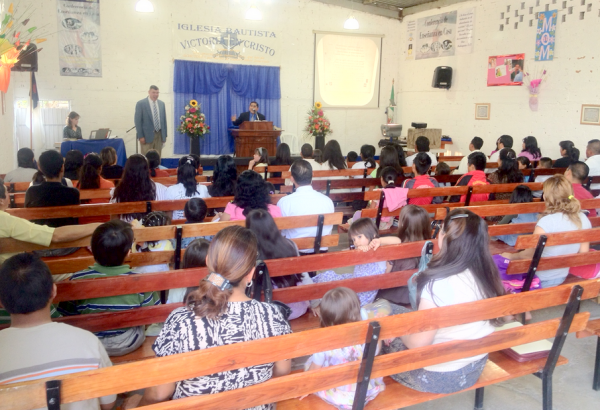 And even though we didn’t have new people come, we had the blessing to pack up this little church auditorium, sing a couple of hymns, and preach the Word. Please pray about this new place – new place for us, so that we can have wisdom and be able to see this place grow, and see people saved. 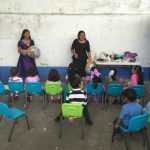 So far we have started three mission churches here in Puebla. The first one on the south part of Puebla, about 20 minutes from our church. The second church that we have started is on the west side of our city, about 40 minutes form our church. The third church that we have started in about 25 minutes north from our church. And now we are starting this fourth mission church, that is about 25 minutes north east from our church. 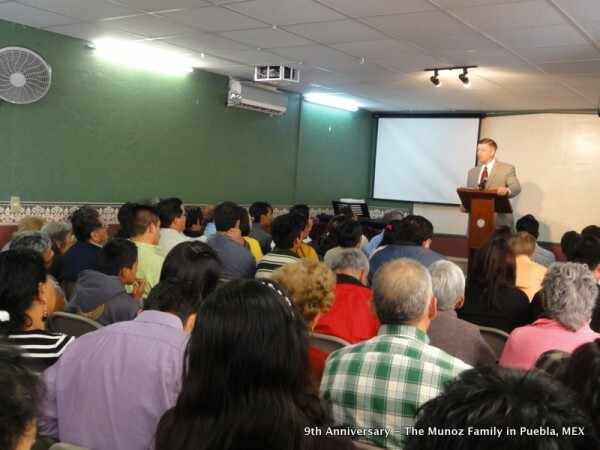 The total number of people of the four missions is about 200 people, not counting our church. Praise the Lord for this. 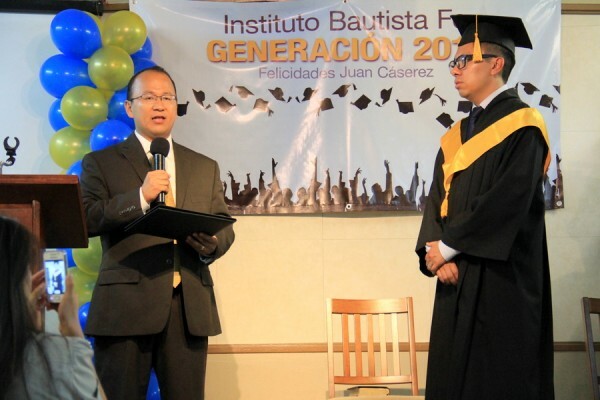 We want to start 20 churches just in the city of Puebla! 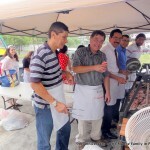 While we were inviting people to this new church, I was able to talk to Erik and Ricardo. When I approached them, they were watching in their phones some sort of music videos and I didn’t think that they were going to be interested in me talking about the Bible. But I was wrong. They both listened attentively and at the end, they both received Jesus as their personal Saviour! Erik and Ricardo got saved! Today in our own church we had eight first time visitors! One of them drove over three hours to be in our church. He also ended up talking with one of our soulwinners and I believe he got saved. Please pray for us, as we continue here in Puebla. In about two more months we are having our National Leadership Conference and we really need to build more bathrooms for our church. Help us to pray that everything will go well and be able to be a blessing to the pastors that will come for this conference. We are expecting over 60 pastors! Last night was an exciting night! 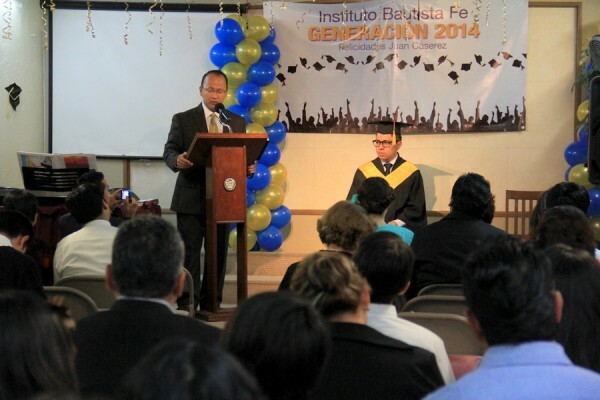 We had another graduation in our Bible Institute. This time we only had one graduate. Juan. 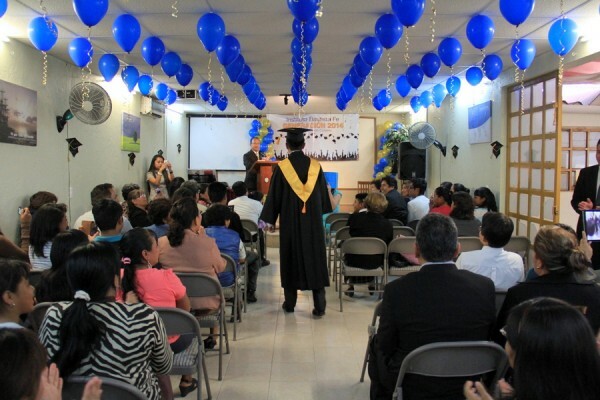 He finished the four years required and with excellent grades. He is a great help in our church directing and organizing our different Sunday School classes. Next semester he will be teaching the Sunday School class in our Bible Institute. 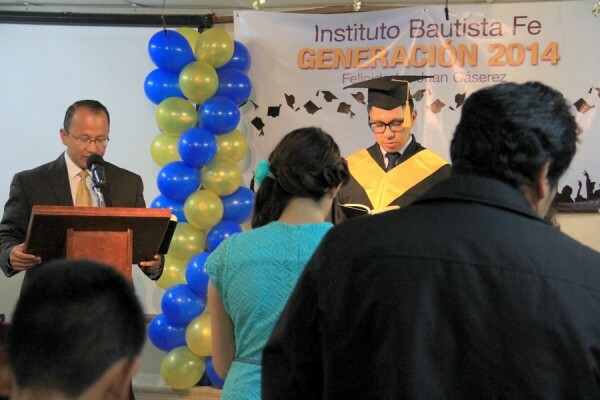 Please pray for our Bible Institute as next semester we are praying to have over ten students. 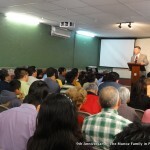 Last week we had a good number of people visiting our church for the first time. On Sunday morning we had 9 people that came to our church for the first time and on Sunday night we had 7 people that visited our church. Most of the people that visit our church come from our church website. I would encourage every church to have a nice looking website. If you need help with this let me know. I know someone that can make you a nice looking website for about $400 usd. We have seen also a good number of people getting saved in church and out in the streets. 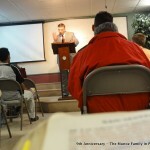 Last Sunday night we had 4 people getting saved and a Sunday before we also had visitors getting saved. 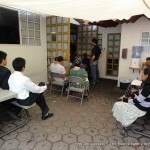 Yesterday, during our time of soulwinning with our Bible Institute here in Puebla, we had a husband and wife get saved. That is just way too exciting!!! And… they even let us come into their house. First the wife got saved by the door of her house, and then she invited us inside her house to speak with her husband. Her husband Victor got saved kneeling down right in the middle of their living room. He said that he had never felt anything like it before, (and we are not pentecostal.) He assured me that he asked Jesus to come into his heart with…. all his heart. 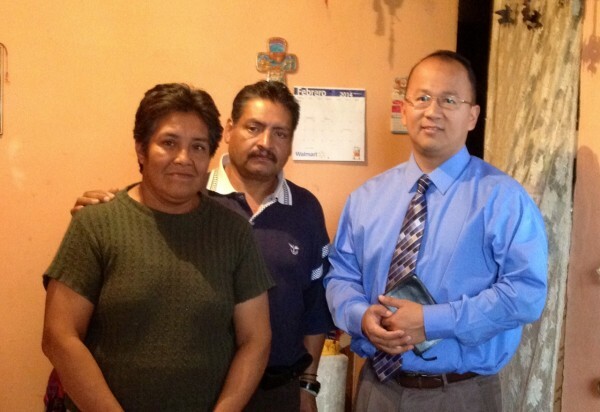 Please pray that Victor and Dolores will come to church soon. I am planning to visit them next week to follow up on their decision. Once I heard a Pastor say: Steward every lead! We would like to thank each one of the churches that accommodated us, fed us, and even gave us a love offering. Praise the Lord, He provided for all of our needs during our trip, even for our van’s fuel pump that was $600 dollars, installed. Before our trip to Texas, our kids kept asking if they were going to see any snow. We told them: “No. It doesn’t snow in Texas.” To our surprise, we saw snow four times! That made them very happy. Many of our kids had never seen snow. Bro. 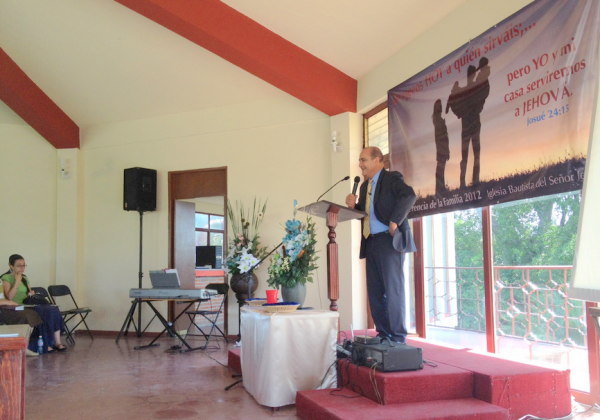 Bill Norton, missionary in Ixmiquilpan, Hidalgo. If your church is looking to support good missionaries, I would recommend any of these missionaries. All of them have been in the mission field for more than 12 years. We praise the Lord for His goodness toward us! 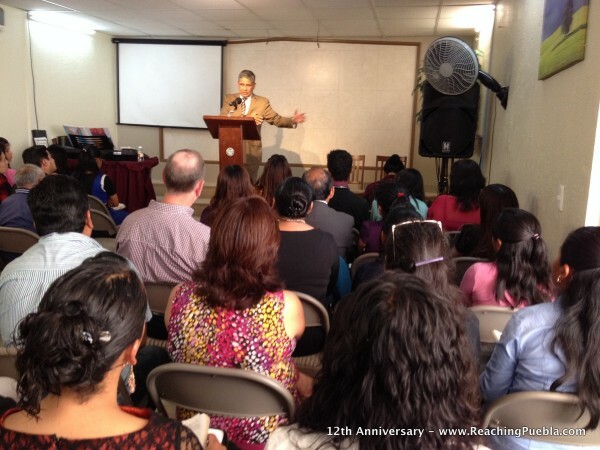 Since we came back to our church in Mexico from furlough, we have seen many blessings. One of them is the increase in people going out soulwinning every Saturday. 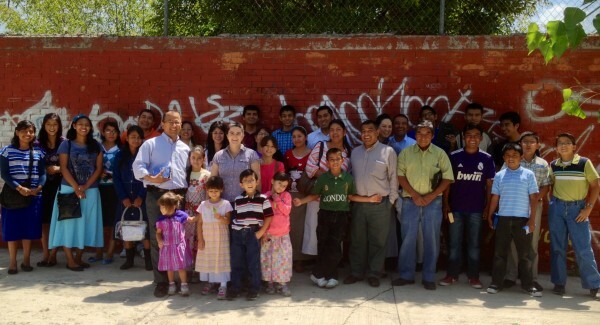 This last Saturday we had 38 our our members going out and reaching the people of Puebla with the Gospel. What a blessing it is to see, not only 10% but over 25% of the church go out soulwinning. 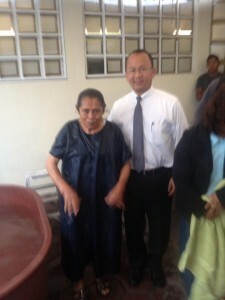 I had the blessing to lead to the Lord a young girl named Brenda. It seemed that she was going through some difficult times and we came at the right time to share with her the good news that only Jesus saves! That night, we had our monthly reunion for married couples. We had a really good time. We had a new couple that had been separated for a while. After the devotional, the husband thanked me for speaking to his heart (it was God who did). But he was very happy he and his wife attended. Please pray for us this week. Today (Monday) we have a special dinner for those that have visited our church in the last 3 months. We call it “primeros pasos” (first steps). Our goal is to enroll them in our Discipleship program that we have on Wednesday nights for 10 weeks. On Tuesday (tomorrow) we start our Bible Institute. We will be teaching 8 different classes from Tuesday to Thursday from 8:00 am to noon. 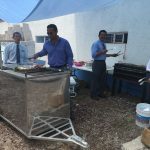 We have about 10 that have confirmed that will attend, plus two more that said that are coming from the State of Morelos and one more from the State of Guerrero. We are excited about this! This is our sixth year. This coming Friday my wife will teach the ladies. She is encouraged and ready to teach the ladies of our church. They will have this once a month. Nicole is planning to decorate the church and have a fun time with them. Please pray that God will use her class to encourage others to serve God. I praise the Lord for a Godly wife. She is truly a blessing to my life and the ministry. Praise the Lord we are back in Puebla. 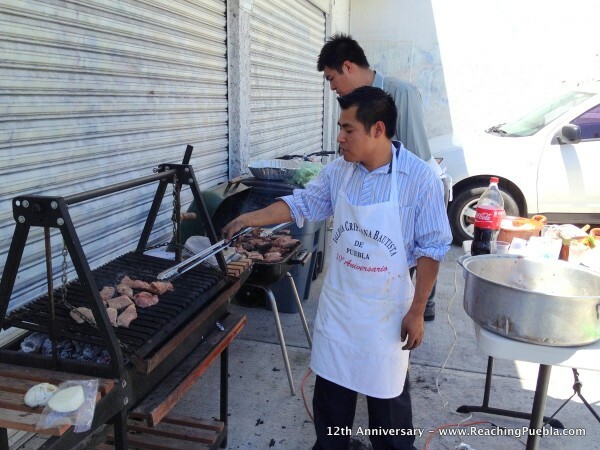 We arrived on July 27th and the following day, on Sunday, we celebrated our 11th anniversary. We would like to thank everyone of you that prayed for us. We traveled for four days and we are very thankful that we did not encounter any problem on our way here. Our 15 passenger van was packed to the “roof”, we even had seven brand new bikes that were given to us while we were in California. We did not have to pay any taxes while crossing the border. But, since we left, the laws in Mexico have changed. Now we have to take our van out of the country every six months. If we don’t do that, we loose our $400 dollars deposit, and we do get another opportunity to bring any other car from the States to Mexico. That means that on January the 27th we have to be back in the States and get another six month permit for our van. 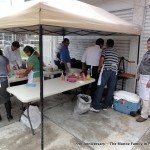 The following Saturday, we went soulwinning with our church. 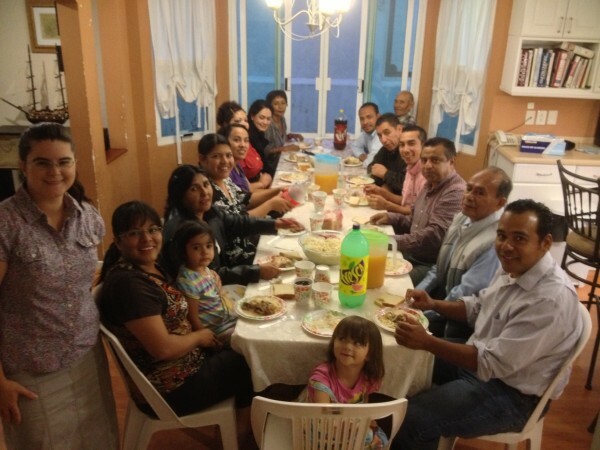 We have a good solid group of faithful people that meet every Saturday to win Puebla for Christ! That Saturday Nicole and I led two people to the Lord. One of them was Nallely, a mom of two, that was willing to come to church the following Sunday. Even though she did not come, she said that she was very interested in bringing her kids to learn during Sunday School in our church. Please pray for her that she one day will come to church. We are just very excited to be back, with lots of ideas and plans for the church. This will be an exciting year for our church and I pray that God will give us wisdom to lead the church in the way that He wants us to go. Pray for us as we put all of our plans and ideas into action. Thank you again for your prayers. May God richly bless you. This month we were very blessed to be in different churches and to meet different people, all of them very kind and sweet. At the beginning of the month my wife and I flew to Dallas, TX to be at the annual Missions Conference of Crossroads Baptist Church in Gainesville, TX. We sure had a good time there. I also got the opportunity to play golf and eat some excellent Texan barbecue. 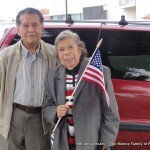 While we were in Gainesville, my wife and I were able to talk to Carlos Cruz and his wife Mercedes that Saturday night. 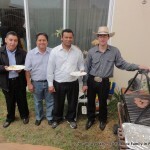 Carlos said that he is already saved, but he stills goes to the Catholic Church. He said that he made a promise to the Virgin Mary that he was going to go the Catholic Church every Sunday for the whole year 2013 because she healed her newborn daughter. He also mentioned that six of siblings live in town as well. Please pray for him and his wife, that they will accept our invitation to the Spanish Church. They have a big family that could be rescued from a life without Christ, to serve in a good local Baptist Church in Texas. When we got back to California, we attended the West Coast Baptist Church Missions Conference in Vista, CA. This is my wife’s home church. 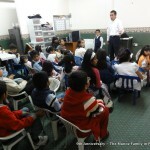 Most of the missionaries that attended this conference had lots of kids, including us! So, when it was time to eat, there were over 36 kids and only five families. Two families have 10 kids each. We have seven kids, another family with five and another two with four and two. 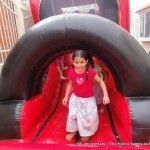 I will have to add a video of the kids having fun during the picnic at the Missions Conference. 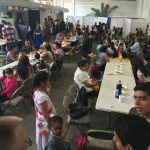 Our church is Mexico is doing well. Today I spoke to my Assistant Pastor, Cristian. They just got back from a Youth Conference in Cuernavaca, Morelos. 14 young people went from our church and many of them surrendered their lives to serve God! And this coming week we are expanding our small auditorium in our church in Mexico. Right now we can seat about 100 adults. And with the new expansion, we will have room for 125 adults. We have a big conference coming up in May and we really need the extra room! Help us to pray for the land next to our church. It will help tremendously if we are able to buy it. We don’t have the money but we believe that God can do anything. Thank you for your prayers regarding our support level. 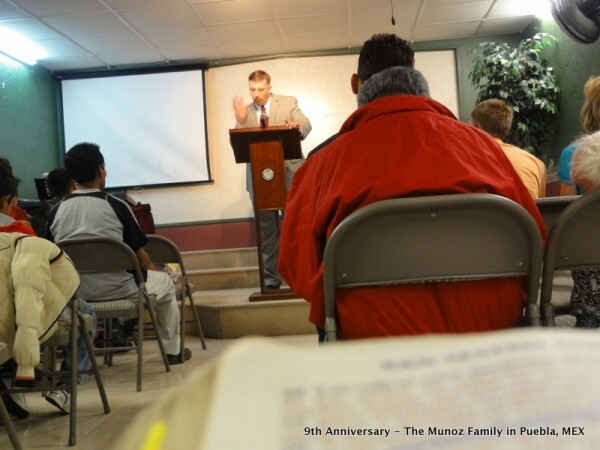 When we first went to Puebla, about 14 years ago, we had over 40 churches supporting us. Over the years our support level has gone down – to 17 churches only supporting us. We were “forced” to come back to the States, but God is supplying all of our needs. 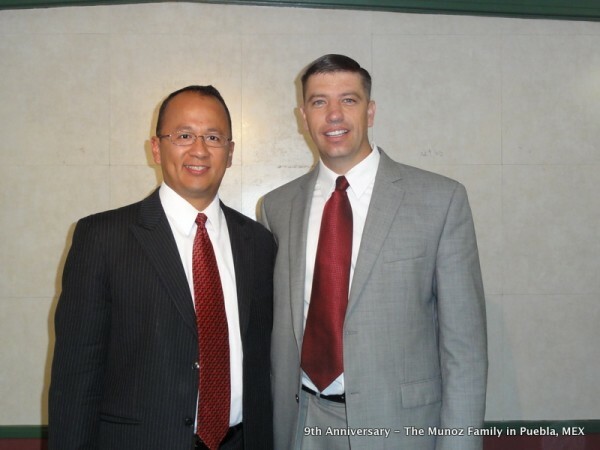 This month another church took us on: Calvary Baptist from Temecula, CA! And there are some more that have promised the same. We are up to 21 churches. We are praying about going back to Mexico in June or July. Again, thank you for your prayers! Bro. 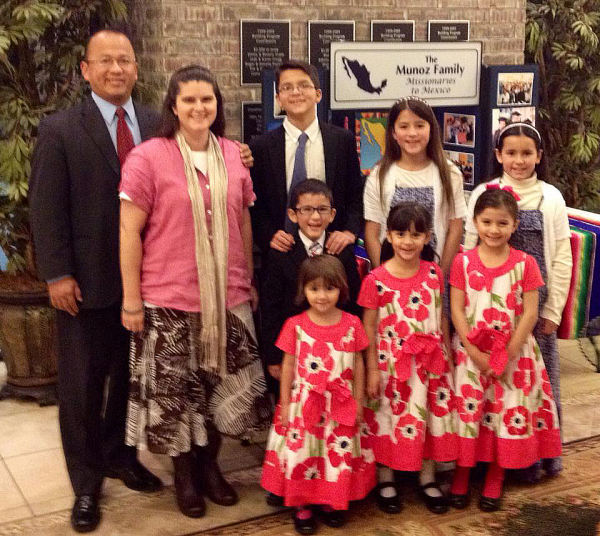 Arturo Munoz and his family have been missionaries in Mexico since 1999. Bro. Munoz was born in Mexico City in 1974. 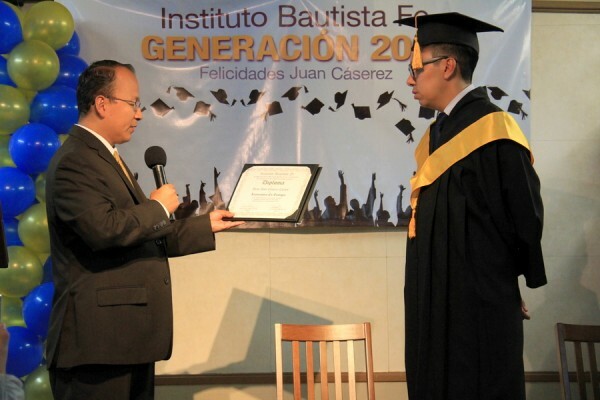 God saved him at the age of eight in a Baptist church in Mexico and had the privilege to grow up in a Christian home. God called him to preach in 1992. 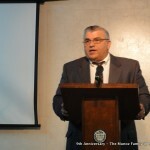 God opened the doors for him to attend Oklahoma Baptist College under the direction of Dr. Jim Vineyard. 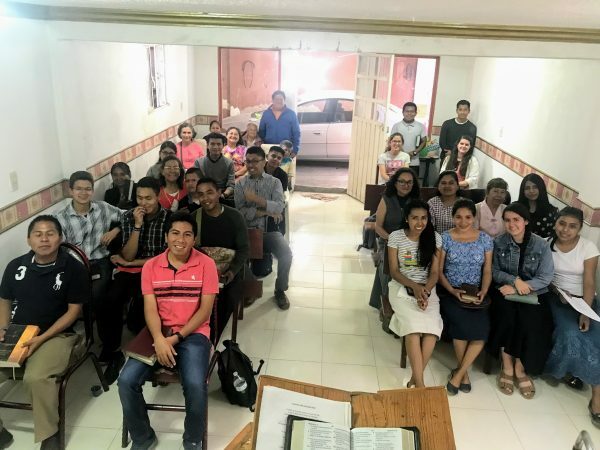 In the summer of 1997, while in a youth camp, God put in his heart to go back to Mexico, specifically the city of Puebla, and reach his own people for Christ. Bro. 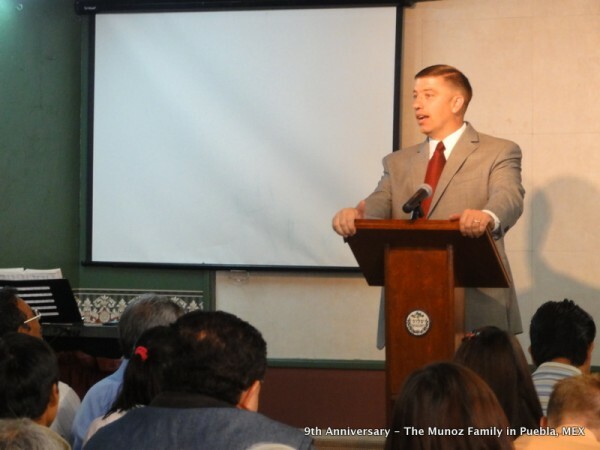 Munoz graduated from Oklahoma Baptist College in 1998. 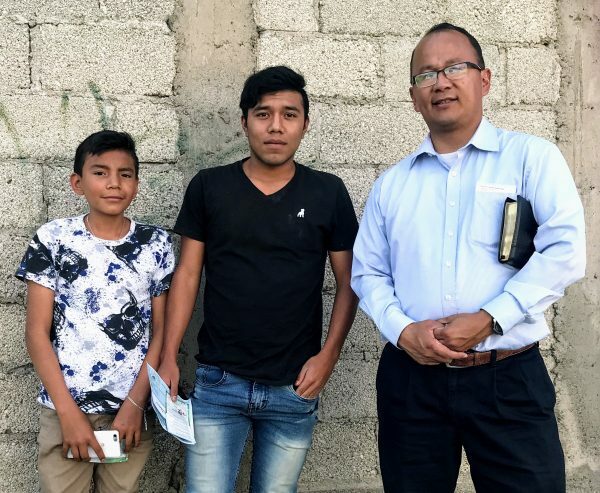 He and his wife Nicole left the US right after their wedding in 1999 and headed to Iguala, Guerrero, a town where the Mexican Flag was born, to help a church there while Nicole learned Spanish. While there, hey both helped teach in the Christian school. Bro. 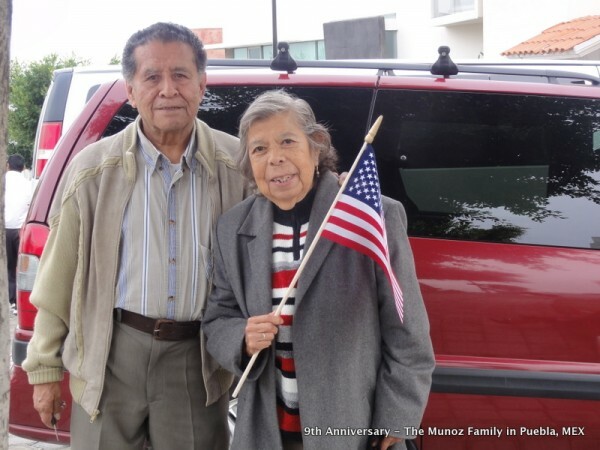 Munoz taught 10th grade, and his wife Nicole taught 3rd. They also started a bus route which had an average of 30 kids in attendance. In 2001 they moved to the city of Puebla. Puebla is the 3rd largest city in the country of Mexico with over 2 million people. Nicole was saved at the age of 15 in a liberal Bible church in Southern California. At age 17 by reading the Bible and praying, she felt that her church was not the church closest to the Bible and prayed and asked God to show her what church to attend. Two weeks later someone invited her to the only IFB church in her area. 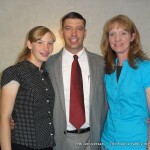 Nicole served in her home church West Coast Baptist Church in Oceanside, California with Pastor Phil Clark for one year before heading to Bible college at Fairhaven Baptist College in Chesterton, Indiana. 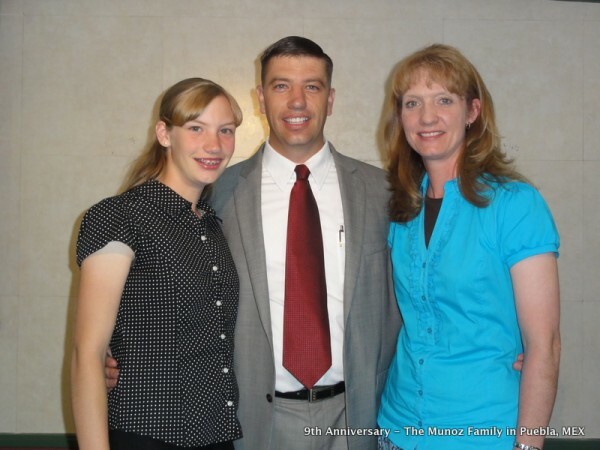 During her freshman year in Bible College Nicole surrendered to be a missionary to Mexico. After graduating, Nicole headed back to her home church in California to teach in the Christian School. 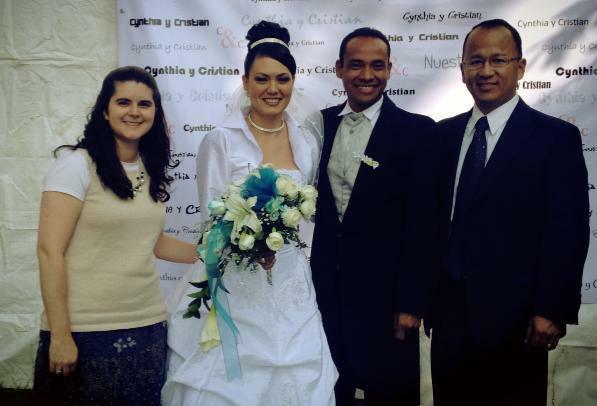 After a few years she met and married Brother Arturo and joyfully followed him to the mission field. We have 7 beautiful children that God has entrusted us to train and raise up to serve Him. Arturo Japheth was born in 2001. He likes to read and play “sword fights” with his brother David. Japheth also helps with the sound system in the church and teaches the object lessons during Junior Church. Rachel Nicole was born in 2002. Rachel often has the role of our church pianist! She has a love for music and is a natural leader. Rachel has run Sunday School classes when the teacher did not show up and has helped lead songs to groups of up to 80 kids in conferences and Vacation Bible Schools. Sarah Joy was born in 2004. Sarah loves to sing songs to the Lord and use her voice to praise God in the church. She also is a great help in the nursery. Although she is never in “charge” of watching the little babies, if there is a crying baby or the nursery workers need an extra set of hands, she is always willing to jump in and play with the little ones! Ashley Elizabeth was born in 2008. Ashley is our quiet but joyful one. It is always a blessing to see her first thing in the morning with wide eyes and a huge smile! Caitlyn Grace was born in 2010. Caitlyn is only three but enjoys being in the “Big Kids Class” more than with the babies! She is our inquisitive one and already shows traits of being a “problem solver”. She is also a reminder to us to always have faith in God. Whenever Caitlyn might ask for some money and we tell her that we don’t have any money she will tell us: Just pray to God and He will give you some money! Then a few hours later she will ask us: Did God give you money yet? 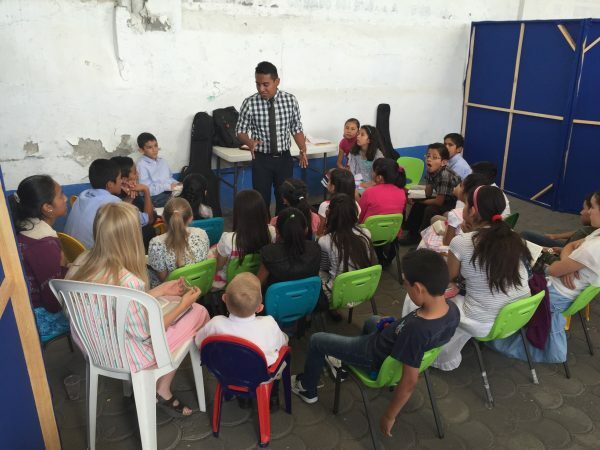 Music Ministry to teach children an adults how to play the piano, guitar, and flute. 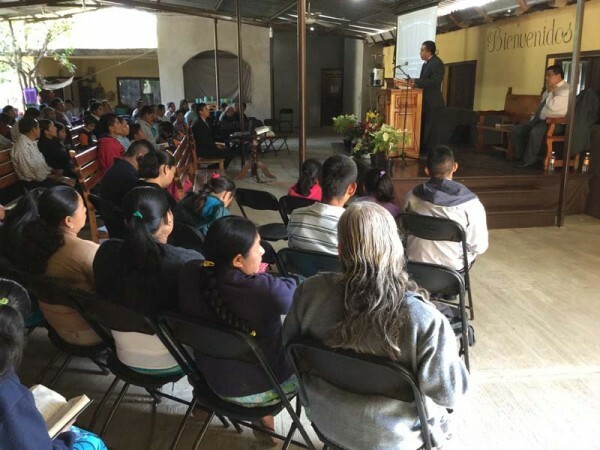 30,000 Tracts Distributed at the Cemeteries for Day of the Dead on November 2nd. 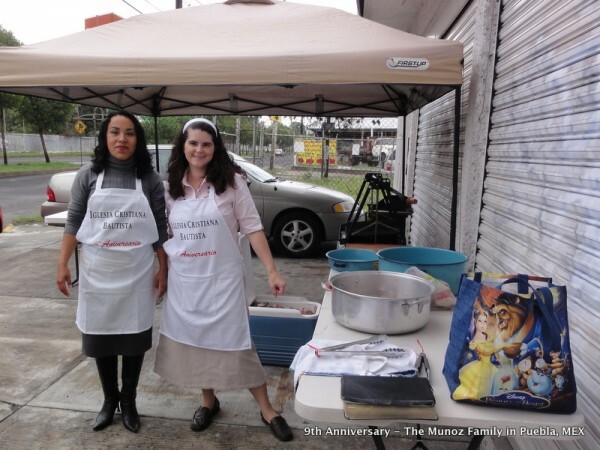 The Munoz family has also started a mission church in the south part of the city that God has blessed. 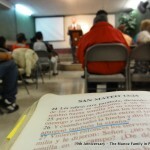 This mission church now has 70 faithful people growing in the Lord every Sunday. Bro. 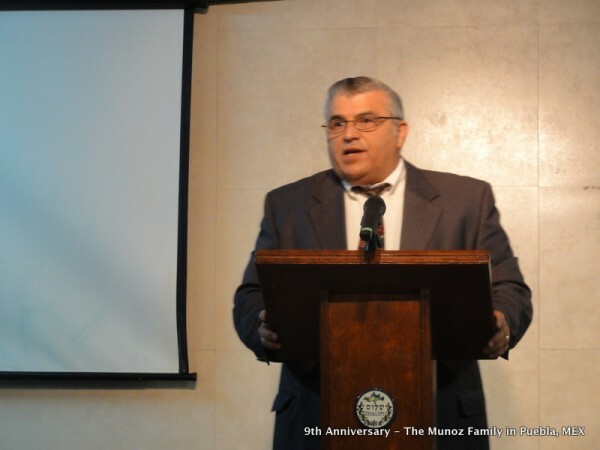 Munoz believes in reaching the lost with the Gospel. The church has an organized soul-winning program every Saturday morning where 40-50 church members consistently go out knocking on doors. The church also has a hospital outreach where ladies of the church visit patients and family members of patients in the hospital. Dozens get saved every Thursday. 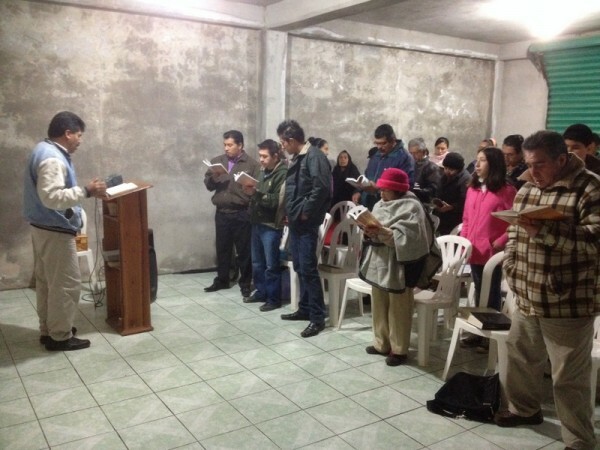 The Bible institute goes out to reach the souls of “Pueblans” every Wednesday. They preach inside buses, downtown, the jail and street corners. Training Nationals in the Bible college. Provide financial and other material support for the first 3 years for the salary of the pastor and the rent of the building. 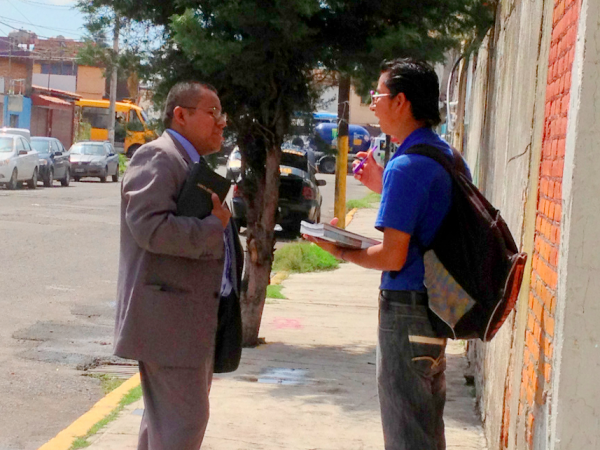 Send out soul-winning teams once a month from the main church in Puebla to help establish the new work. Send church members who live closer to the new work to join the new work so it has a solid base of believers to start with. Weekly accountability with the pastors of the new work through pastor’s meetings and fellowships. It is Bro. 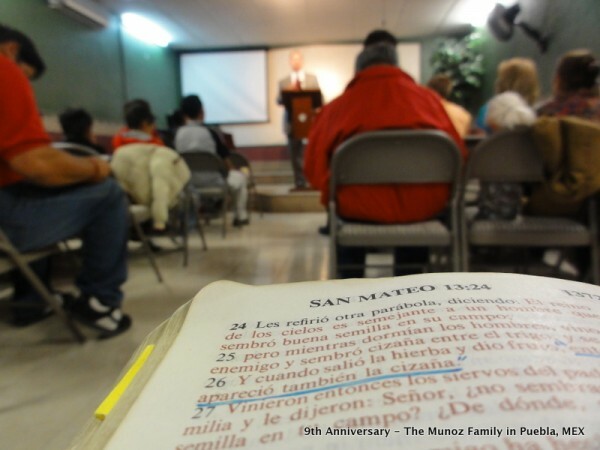 Munoz’ vision that by dividing and multiplying, more Pueblans can be reached with the Gospel. The more local churches that are started all in a 45 minute to 60 minute public transportation driving radius of the main church, the more souls can be reached! God has been very good to us in our first month of furlough here in the States. Our goal is to be able to raise more support. 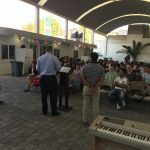 Praise the Lord God is answering that prayer and already we have had a church taking us on (Faith Baptist Church in Canoga Park, CA, Pastor Tim Rasmussen) and some others praying about it. We praise the Lord for that. 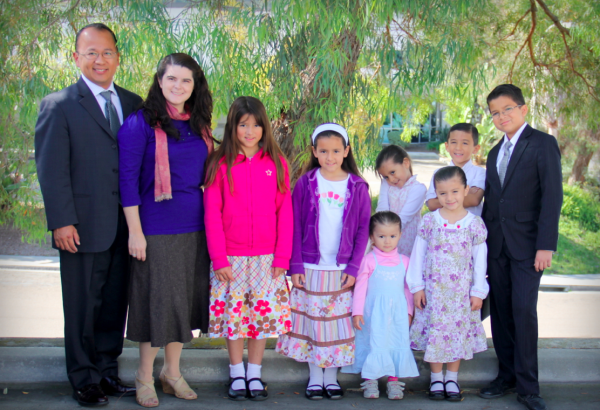 We enrolled our kids in the Christian school near Oceanside, CA at West Coast Baptist Church in Vista, CA. This is the school were my wife Nicole used to be a teacher. The Pastor always reminds me that I took his “best” teacher. Our kids are happy to go to a “regular” school and have friends to play with! David and Hannah getting saved! One of the most exciting things about the trip so far was on Sunday night September 2nd when our twins got saved! Both of them have been insisting for a while to get saved. I always like to wait until they are six and know how to read. (They will also remember this special time better at this age). I like for them to read by themselves John 3:16 and then go through the Bible and explain how to be saved. This time we did it few weeks before they turned six. They were very happy to know that Jesus now lives in their hearts and that they are saved! Also, we just celebrated our twins birthday on September the 29th. David and Hannah had their own cake. This is their “big” birthday! We have a “big” birthday every 3 years for our kids. (When they turn 3,6,9,etc.) That way we don’t have so many expenses when it comes time for their birthday. 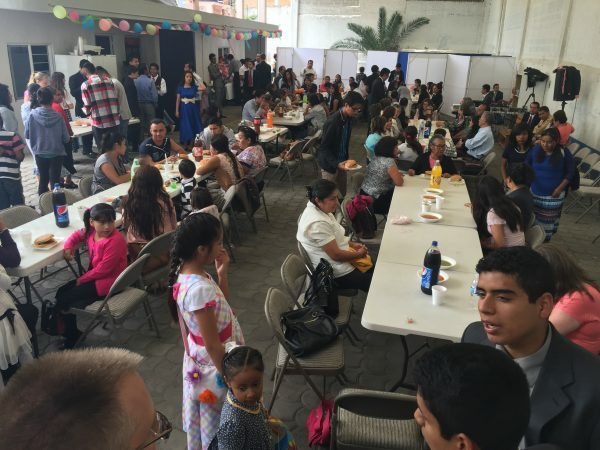 Normally in Mexico we have a pinata and invite the whole church family. 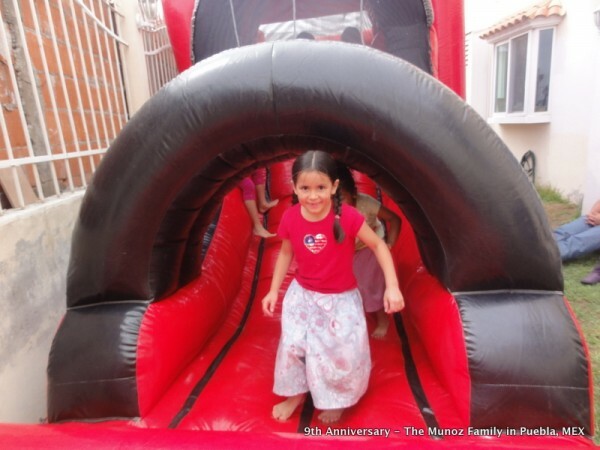 We have a cook out in our backyard and have some inflatables. This time we just bought some “extra toys” for them and invited the family over. Their grandpa bought passes for the whole family to go to Lego Land and they were happy with that. We were too! David said to me: “This is the best birthday every!! !” Praise the Lord for that. 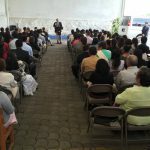 Last Sunday night I preached to our church in Puebla using Skype. Our church family misses us tremendously. What a blessing to know that they love us so much and that they can’t wait for us to return. 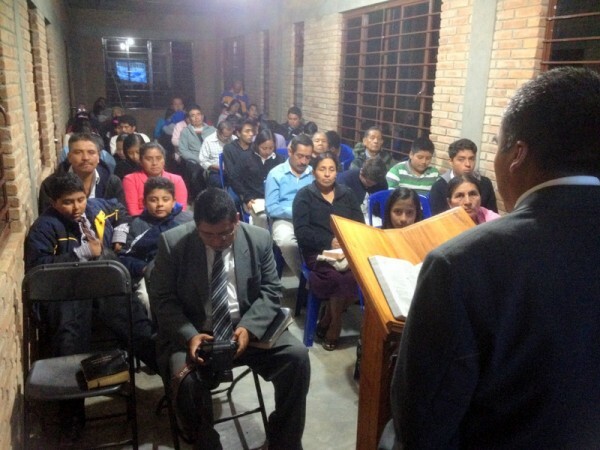 They all paid attention to the screen while I preached about the family from Luke 19:9. They actually pay more attention when I preach from far away than when I am actually there! Many say that it is like TV 🙂 So, I might stay here in the States and preach from here every Sunday. Just kidding. Also, last Sunday night our church got flooded with water. It rained so much in Puebla, in the area were the church is, that some blocks were 6 feet under water! (one person died near the church) Our church is on higher ground and only had about 3 inches of water inside our classrooms and the office. Only carpet and some books got wet. On the street the water rose to 1 foot. 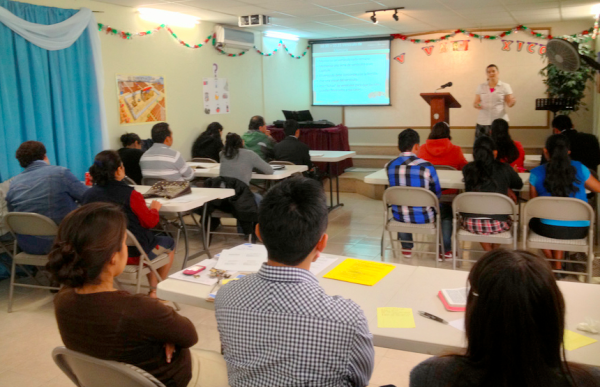 Our Bible Institute continues strong.This semester we moved the Bible Institute to morning classes. From Tuesday to Thursday 8:00 am to 12:00 pm. We have 12 students and they are all faithful to the many classes that we have. 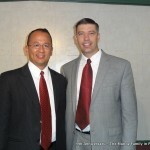 Praise the Lord for the help we are getting from Pastors in the area and Bro. Alejandro and his brother that help in the church while we are gone. Tuesday they preached on the buses during the time of soulwinning. They had never done this before, so they were all scared, but God blessed them and gave them boldness to preach the Gospel. Many people heard and we hope many made decisions and consider the direction of their souls. This November 1st we start our annual missions conference in our church in Puebla. We have 4 missionaries that are coming with their families and we can’t wait to see what God will do this year. 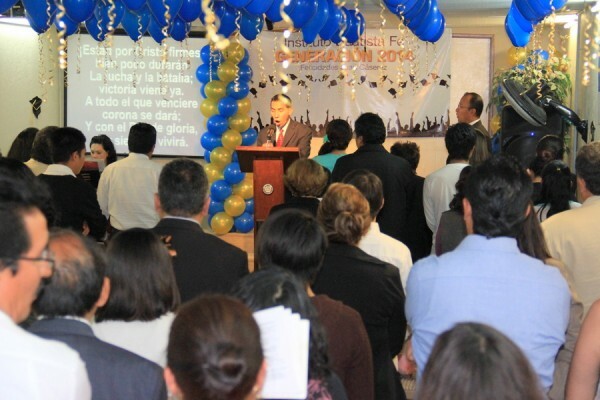 Lord willing I am flying to Puebla to preach during the missions conference. Please pray for travel safety and that God will use me for His honor and glory. We are also planning to go the different cemeteries in Puebla to give out 25,000 tracts during the day of the dead on Nov. the 2nd. Please pray that many of this tract will be read and that many will get saved. If any of you would like to make plans and visit us this year or next year, you are welcome to come! It is amazing to see thousands of people going to the cemeteries and taking flowers and food to the dead. 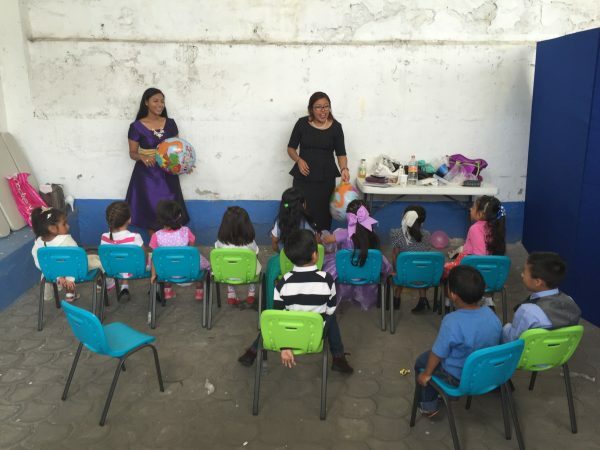 This is a great opportunity for a missions trip in Mexico! Also, if your church will hold a missions conference and would like me to present our ministry in your church, please let me know. It will be a blessing and honor to present to your church what God is doing in Puebla, the fourth largest city in Mexico, with over 2 million people that need to hear the Gospel! God bless you! And lets pray for America and the coming elections! We are only two weeks away from our annual conference in May. We call it our Leadership Conference for Pastors and Workers. 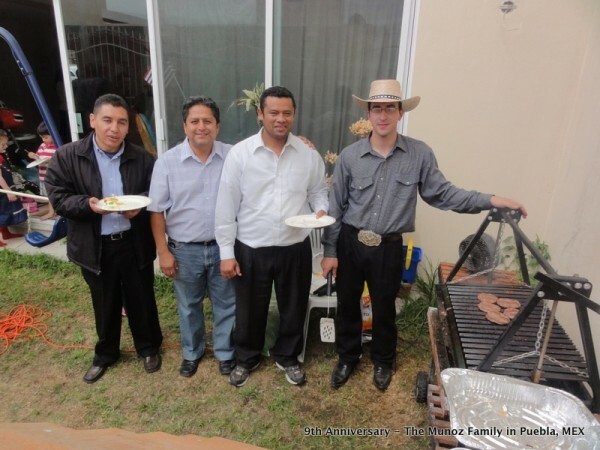 This year I have invited Pastor Ezequiel Salazar from Montecito Baptist Church in Ontorio, CA; Pastor Luis Parada from First Baptist Church in Long Beach, CA and Pastor Luis Ramos from Bible Baptist Church in San Luis Potosi, Mexico. We are expecting to have over 150 people come from five different States. Please pray for us and for the conference. Last year we spent 2,200 dollars, and we are expecting to spend about the same this year. 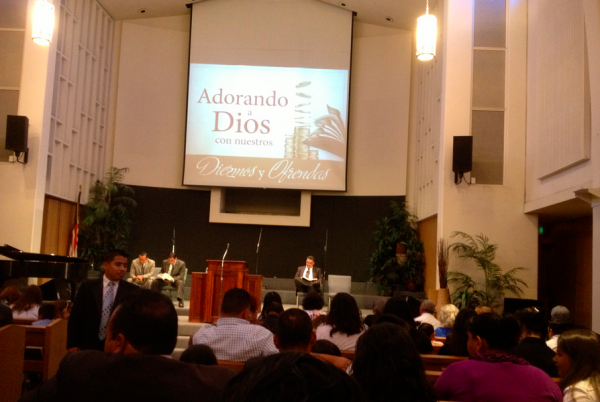 I praise the Lord for people in our church that are willing to give for this preaching conference in Mexico. A lady in our church gave me $1,000 dollars last week and yesterday a man in our church gave $500 dollars towards the conference. Praise God! God always supplies. If you know anyone in the area that would like to attend our conference, please let them know. We start Monday May 7th at 6:30 pm. We don’t have room in our small auditorium to put all of the people, so we are renting a place for the conference. Today we had six first time visitors. Three of them came because they say the sign outside our church… (We have a new sign). And two other visitors came because of our ad that we have in the Yellow Pages. (We spent $1,500 dollars last year for this ad). The couple that came because of this ad in the Yellow Pages said that they had never been in a Christian church before. They arrived early and it seem that they were very interested in the preaching. The wife got saved! 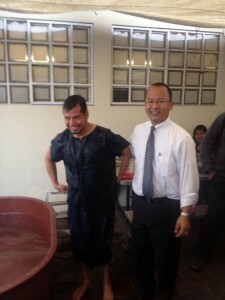 The husband said he was saved because a someone else at work led him to Christ. They are Catholic and are looking for a good Christian church to attend to. They looked us in the YP and found out that we were only blocks away from their house! They said the are coming back. We had a total of three people saved! on Sunday, and 130 people in attendance. 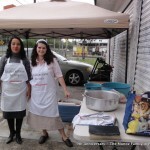 Every year we go to the Cinco de Mayo Parade in our city and give our thousands of tracts. This year we are giving away 20,000 tracts during the parade. Please pray for this. We would like to see people saved. Many in the States wrongly believe that Cinco the Mayo (5th of May) is our Mexican Independence Day. But that’s not true. Our Independence Day is on September 16th. I think that is easier to say “Cinco de Mayo” than “Dieciséis de Septiembre“! Cinco de Mayo is the commemoration of the Battle of Puebla. We won a battle against the french, but later on we lost the war. Praise the Lord that once we are saved we are not losing any more battles nor wars because Jesus will be the winner after all. Many people here believe in the holy death. Many. They are proud of themselves saying that the holy death defeated Jesus on the cross. But they fail to recognize what Revelations 20:14 says, “And death and hell were cast into the lake of fire. This is the second death.” We win! Hi, and thank you for reading this update! 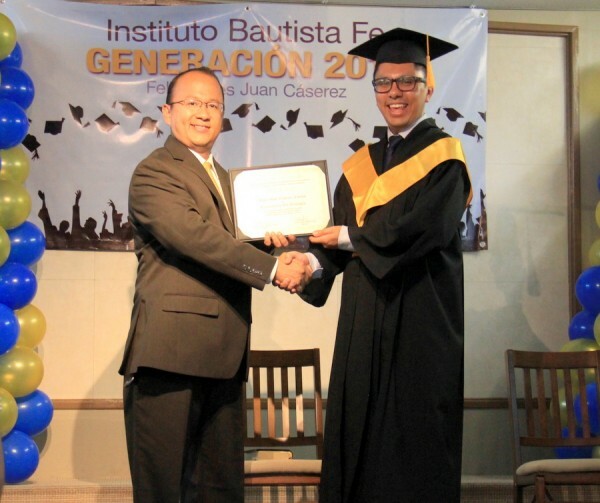 Our Bible Institute is continue to grow strong. Right now we have 22 students! that come 3 times a week. We have 5 pastors teaching and we have a great spirit in each one of the classes. Next year we are graduating two more. So far we have graduated two. 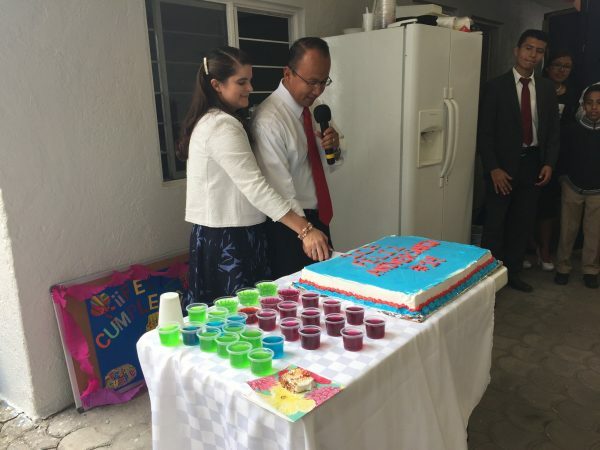 One will start a church here in Mexico and the other is married to a Pastor. Next year we are planning to have a very special class on how to start a church. We are having 12 pastors that will teach a class on this on we are going to get all the material together and make it available to those that will be interested on it. It will only be available in Spanish. This happened quite fast an unexpected. First of all, to God be the Glory! At the beginning of the year, around April, a lady in our Church brought a group of kids to church with some moms and dads. Next, they wanted to have a Bible study (the parents) in a house in their neighborhood. Next, they wanted to rent a store front. And now we have a mission church here in Puebla with 30 people attending. Today was their second Sunday! and they are very excited and thrilled to have their own place to meet. (Maybe they were a little tired of the small house). Bro. Erik, who graduated from San Luis Potosi, married one of our young girls here in our church two months ago (I married them) and now the are in charge of this mission church. They are about 45 minutes south of our church on bus. (It take about two hours to cross the whole city of Puebla from side to side on a bus). Please pray for this work that it will bring more souls to the saving grace of Jesus Christ. A month ago we had our monthly married-couples-gathering in the house of Bro. Jose Luis. He lives about 40 minutes west from our church. As we were driving closer to his house, my heart grew “heavy” as I saw the need to start a church in this side of our city. 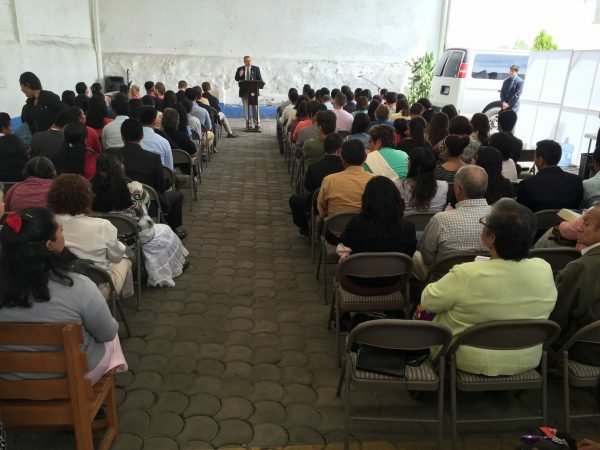 Puebla is the 3rd largest city in the country of Mexico and we only have three Independent Baptist Churches here. Please pray for more missionaries for our city. We will continue to do our work and ask God to help us meet this need. At the beginning of the year we only had about 5,000 dollars to build and expand our auditorium. Now we have 5 times that amount. God provided through our people that amount. We are ready to start our expansion and I would like you to help us pray for God’s direction in this. 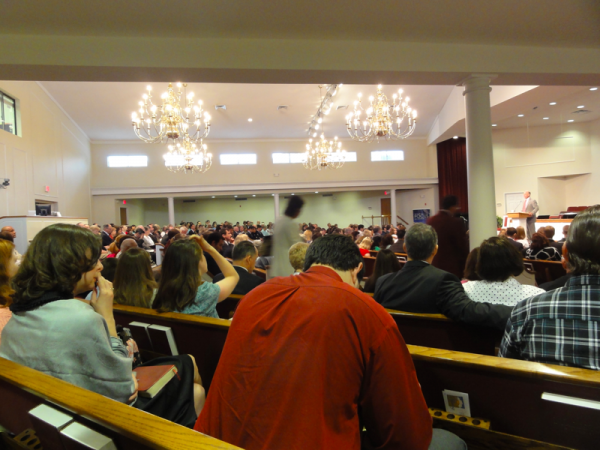 Every Sunday we have our auditorium filled to capacity and chairs in the aisles. Last Saturday we had 26 people going out soulwinning. My wife was able to lead a lady to the Lord as she was waiting (with four of our kids on the bottom floor of an apartment building) and I had the privilege to lead Alfredo to the Lord. Two others promised that they were going to pray that night and ask God to save them. We had a total of 6 people getting saved Saturday. Today we had three first-time-visitors and one of them got saved. Her name is Adriana. She was invited by our song director about six months ago. Today she finally came and got saved! 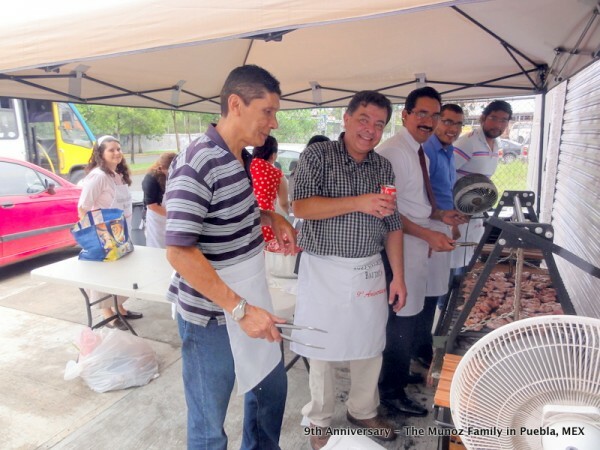 As you know, we have a big family and many responsibilities in the mission field. The church is growing and we need more help in the ministry too. Our piano player has left (my sister Aglaee, who used to play in church, and her husband are now on deputation to star a church in Southern Mexico) and we need one too. 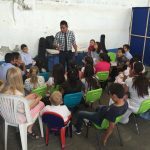 So, if you know someone that knows how to play the piano, interested to learn Spanish, willing to help teaching kids, and have a great opportunity in the mission field, let us know. (We are willing to pay for airplane tickets.) Many will have a concern about safety. Puebla is a safe place in Mexico, contrary to the rest of the country. And the area where we minister is nice and fun. 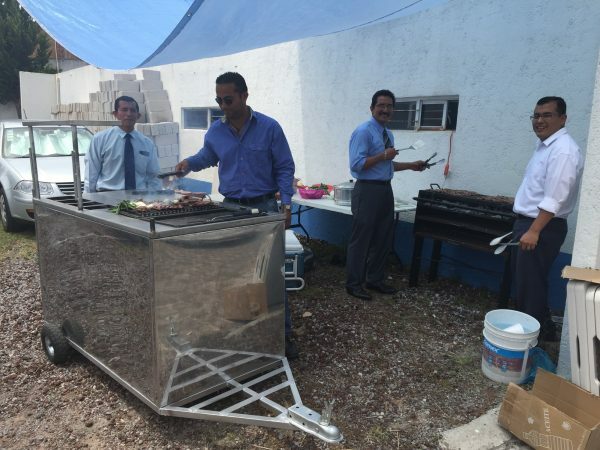 So… let us know if you know someone that will be willing to come to Puebla and help us in the ministry!